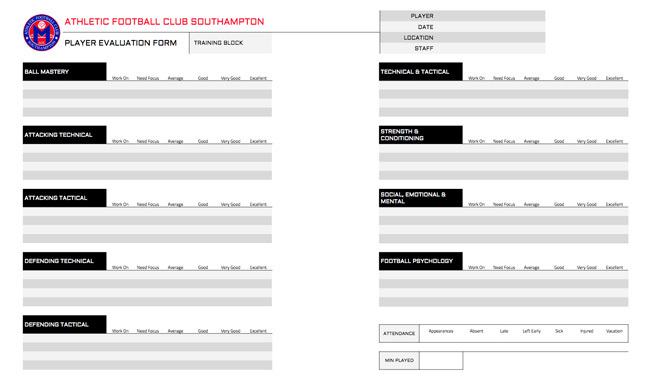 WHAT IS THE SOUTHAMPTON WAy? 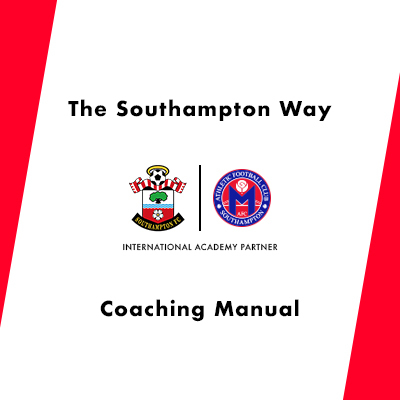 Established by English Premier League’s Southampton FC, The Southampton Way is a training philosophy and approach based on developing high quality players not only on the field, but also off the pitch as well. 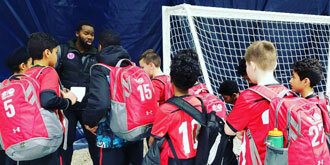 Our style of technical and tactical training combined with off-field lessons and physical endurance drills produces a player that is comfortable anywhere on the field and can contribute to our team goals across all phases of play. 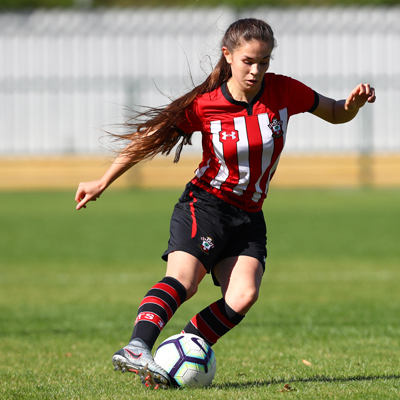 With four defenders and three central midfielders, there are seven players able to receive the ball from deep and look to build possession. 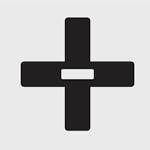 With wide forward players staying disciplined it is possible to look for quick switches once the opposition has compacted to your side of the field. The team that wins is usually the team that makes the most of its chances. We must be clinical in the final third and look for good high percentage shots and positive forward passes. With three forward players it is possible to press from the front as long as the team behind is staying with the forwards. 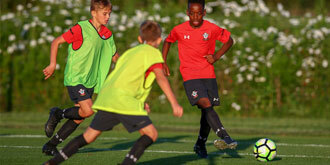 Pressing alone causes gaps but pressing as a team causes pressure on the opposition’s defense. 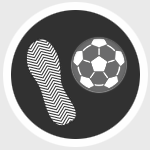 A full-circle player evaluation will be conducted and delivered to each player at the end of each training cycle. 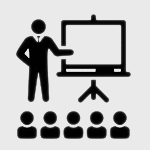 Areas of improvement and suggestions going forward will be provided. 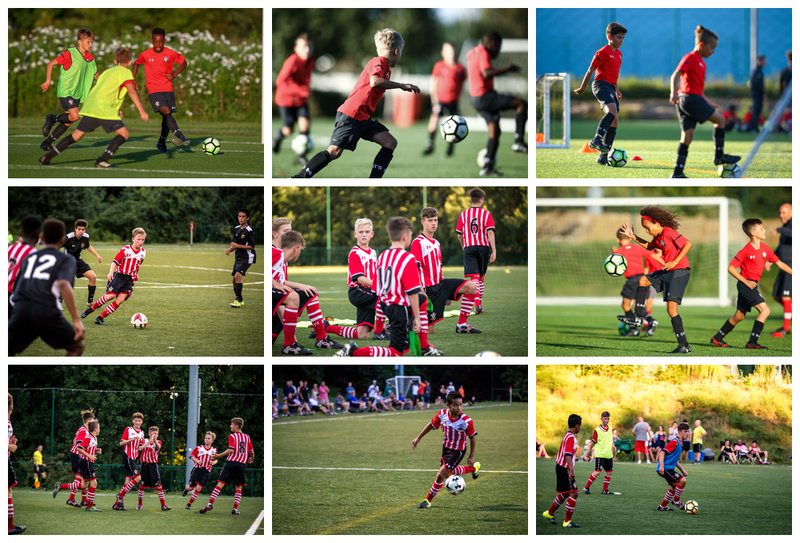 We assign our players weekly homework and assess progress based on pre-determined goals and development areas established early on in our training together. Passing, Receiving, Individual Possession, Crossing & Finishing, and more. Playing Out Of The Back, Playing Through The Midfield, Playing In & Around The Penalty Box, Wide Area, Finishing Inside The Box, and more. 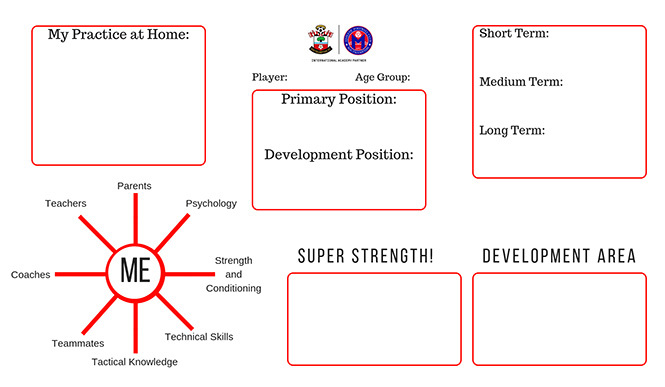 Attitude To Defend, Angles, Blocking, Balance, Body Shape, Combination Play, Create Space, Defending Principle In SSG, Distance, Fake, Feints, Half-Turn Angled, Interaction, Interceptions, and more. Acceleration, Aerobic Endurance, Agility, Anaerobic, Backward Movement, Balance, Depth Jumps, Coordination, Explosiveness, Foot-Eye Coordination, Extensive Overload, Flexibility / Mobility, High Speed Running, Intensive Overload, and more. Pressing, Compact, Individual Defending, Wide Central, and more. Pressing From The Front, Pressing In The Middle Third, Defending Out Number, Counter Attack, In Defending Third, In Attacking Third, Wide Area, and more. Step Over, Squeeze, Drag Push, Shimmy, Stop Turn, Scissors, Inside Cut, Outside Cut, High Wave, Spin Turn, 360 Spin, Jay jay, and more. 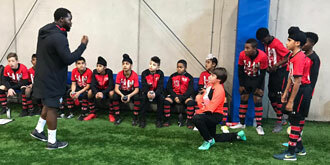 Affiliation, Accepting, Adaptability, Anticipation, Character Building, Communication, Coping With Pressure, Deliberate Practice, Emotional Management, Emotional Intelligence, Social Intelligence, Emotional Awareness, Emotional Control, Focus, and more. We push boundaries and constantly innovate beyond expectations by breaking down what great players do and teaching our player how to do the same thing, step-by-step. There’s no doubt that our player agility is the centerpiece of our program. For the last six years, we’ve been studying the most effective ways to improve our players’ agility, balance, and coordination so that they can feel the way high-performing players move. 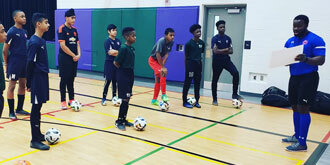 Our curriculum and player skill-level advances with each year of enrollment; both intermediate and advanced players can look forward to being challenged each session. Every training session starts with a film session of game review. 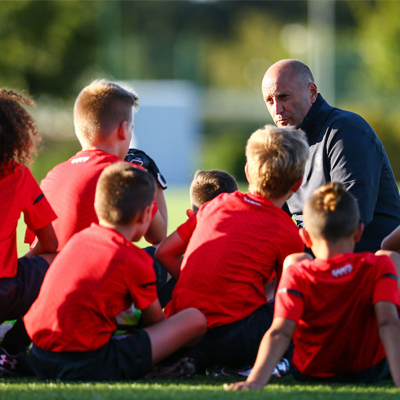 It’s a learning experience created to motivate and inspire our players to ignite the learning process. Changing personal limits to achieve things you’ve never done before is hard work. Mistakes teach our players what we need to focus on together. With that in mind, every session we’ll bring the positive energy and we expect you to do the same – we will work together to improve your limits.